The Irish Farmers’ Association and Vodafone Ireland have launched the world’s first farm-proof smartphone for the farming community. The dust-proof, scratch resistant and water resistant handset from Motorola is built to withstand the elements associated with a day’s work on the farm and has a longer battery life than other smartphones on the market. The Motorola Defy is the latest addition to a range of technology offerings from IFA Member Services and is available for free to IFA members. 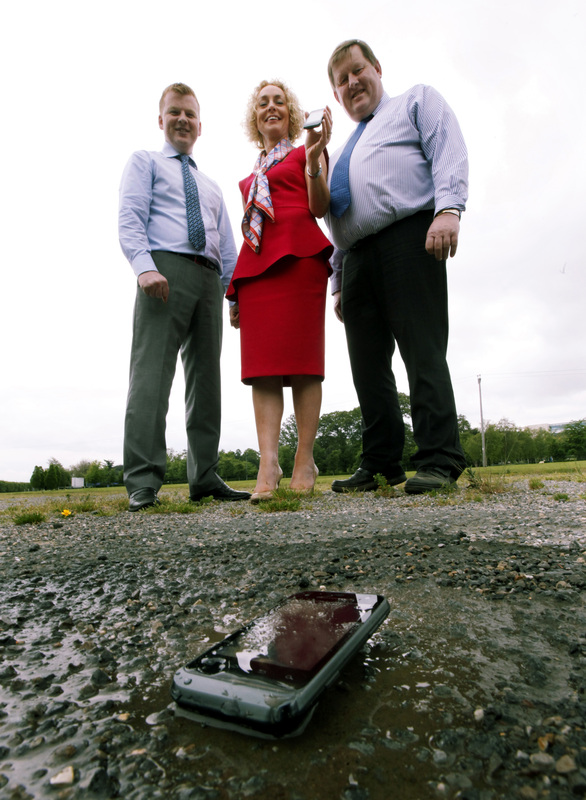 James Kelly, director of organisation IFA, Ann O’Leary, business and enterprise director with Vodafone Ireland and JJ Kavanagh, IFA Member Services chairman launch the world’s first ‘farm-proof’ smartphone. The Motorola Defy is dust-proof, scratch resistant, water resistant, has a longer battery life than other smartphones and is available for free to IFA Members. The launch of the Motorola coincides with the recent release of the IFA Member Services smartphone app ‘iFarm’. iFarm now boasts almost 5,000 downloads, proving that smartphones are an increasingly important part of farmers day-to-day business. The app, which works on all smartphones including iPhone and Android, provides market prices and commentary; real-time weather updates and farm calculators among other decision support tools. The farm-proof handset is now available from IFA Member Services for free on most packages on 1890 924 852. The ‘iFarm’ app can be downloaded by texting your name plus ‘iFarm’ to 51000 for the price of a standard text.